The middle of November in New Hampshire is normally a raw and wet time of year. One can expect temperatures in the 40 F range, rain and wind. It’s a chill that cuts to the bone. 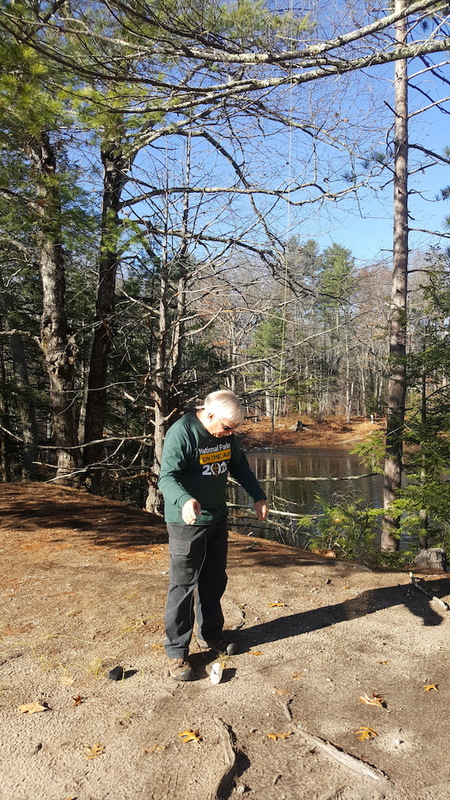 But on Saturday November 19, 2016, Mother Nature treated Nick Mollo, KC1KDY, and me to a stunning sunny, warm and wind-free day at the Lamprey Wild and Scenic River in Epping, NH. We were at the western edge of this National Park designated area just hundreds of feet away from where the river had been dammed in the past. Mary Blair Park is on the river’s south shore just below where mills and factories stood in the past. We chose to set up our radios along the banks of the river as it kisses the edge of Mary Blair Park. For some reason the locals in Epping, NH don’t seem visit this jewel of a park to soak up its serenity. Nick and I only saw one other person there the entire time we operated. I arrived before Nick and after exiting my truck, all I could hear was the water in the river gurgling over a small set of rapids just to the west. It was so very peaceful. 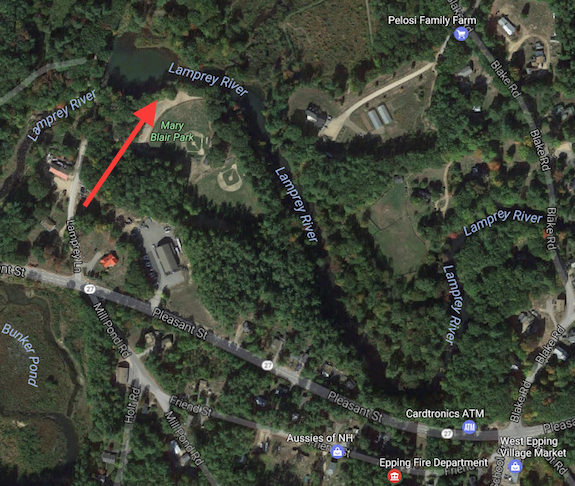 Nick and I had talked about doing a joint activation of the Lamprey River. 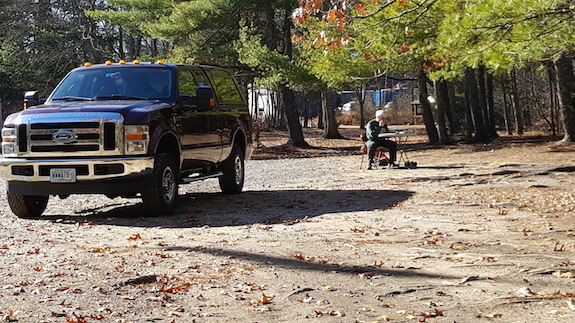 It’s one of only three locations in New Hampshire where a radio operator can set up to participate in the soon-to-end National Parks on the Air (NPOTA) event. Nick loves to talk to people across the USA, and other countries, using a microphone. I prefer to use an iambic paddle to transmit Morse code. 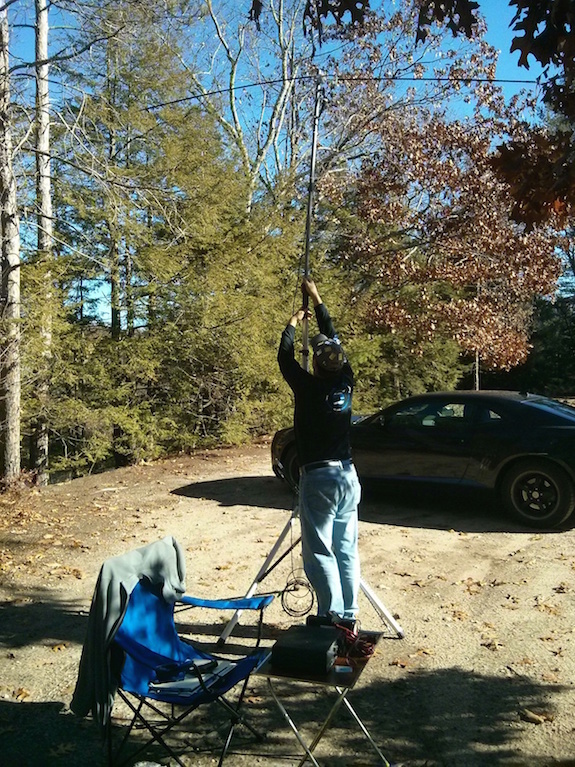 Using a reliable Buddipole™ antenna, Nick had no trouble gathering signals from the ether. I decided to sit directly in the sun as I knew that this day might very well be the last really warm day of the year. It turns out I was right as 72 hours later 3 inches of snow covered my yard! We had planned to operate just ninety minutes as I had other things to do that day. But it turns out I stayed for almost two and one-half hours. I didn’t regret it for a moment. To minimize interference with one another, Nick and I operated on different parts of the electromagnetic spectrum. 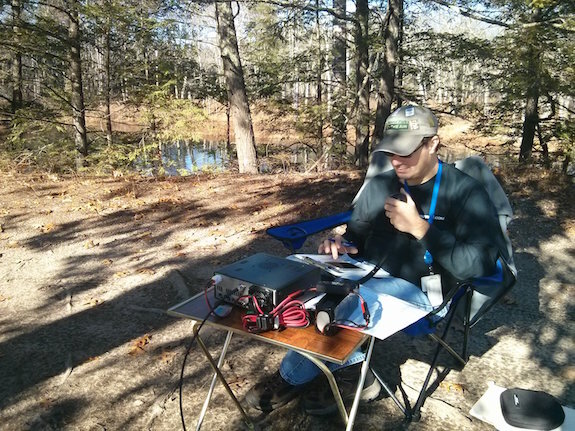 I was on 20 meters at first while Nick contacted others using 40 meters. After about an hour, we switched. I ended up with about 32 contacts with being on the air for just about an hour or less. At first I had trouble making contacts, but once a few operators discovered me and told the world I was on the air using my favorite spotting tool, I had a fairly steady stream of activity. The NPOTA Facebook page helps to ensure you get the minimum ten contacts to activate a NPOTA unit. Nick used his cell phone to tell the group we were about to transmit. 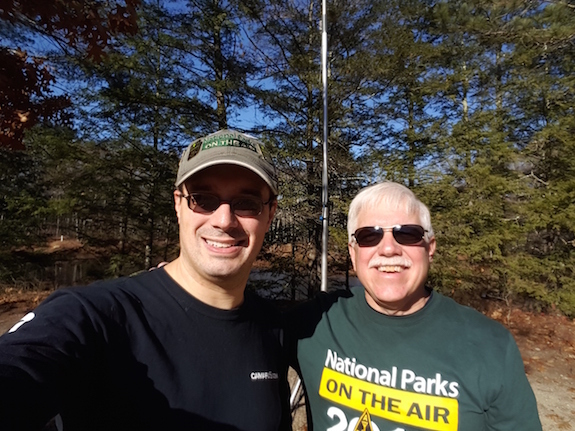 It was great to meet Nick and I hope to do another eyeball QSO party with him at some point when Mother Nature treats us to a delightful warm sunny day!